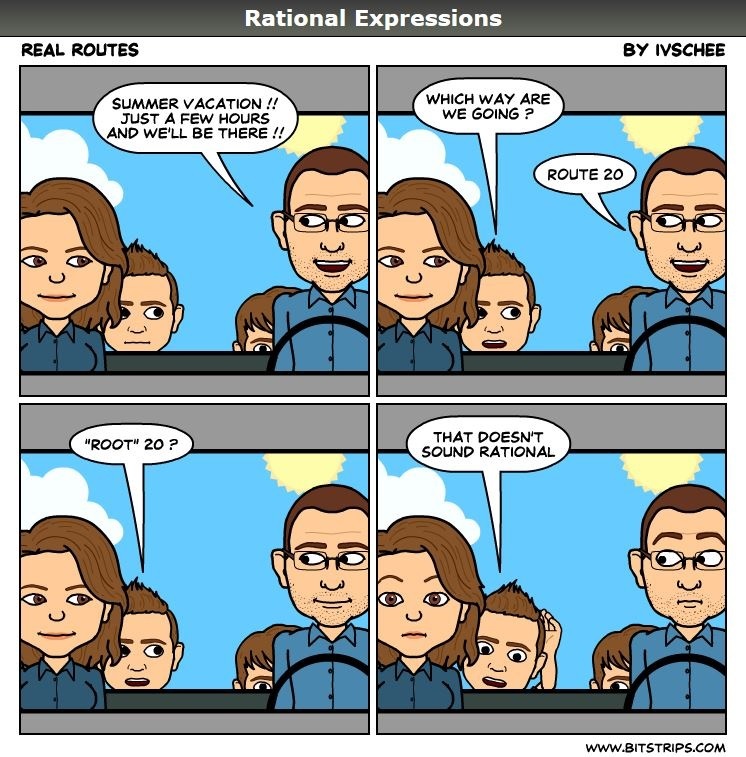 Posted on June 4, 2018, in Rational Expressions - A Comic Strip. Bookmark the permalink. 1 Comment. Maybe they should just take two Route 5’s.